TANGIERS, Morocco (AP) — Hundreds of sub-Saharan migrants escaping poverty and violence in their home countries are fleeing to forests to escape police raids in the northern Moroccan port city of Tangiers — only to be chased from their makeshift camps. Migrants have been arriving in Morocco in increasing numbers in a bid to get to Spain via the Strait of Gibraltar. A prime route from Libya to Italy is being choked, notably by the Libyan coast guard intercepting smugglers’ boats. Rights activists in this North African kingdom say the crackdown on migrants is the biggest since 2015. Many of those arriving in Tangiers, one of several Moroccan jump-off points to Spain, say they escaped into the forest after police smashed doors of their small shared rooms in Tangiers and took money they were making to pay smugglers. 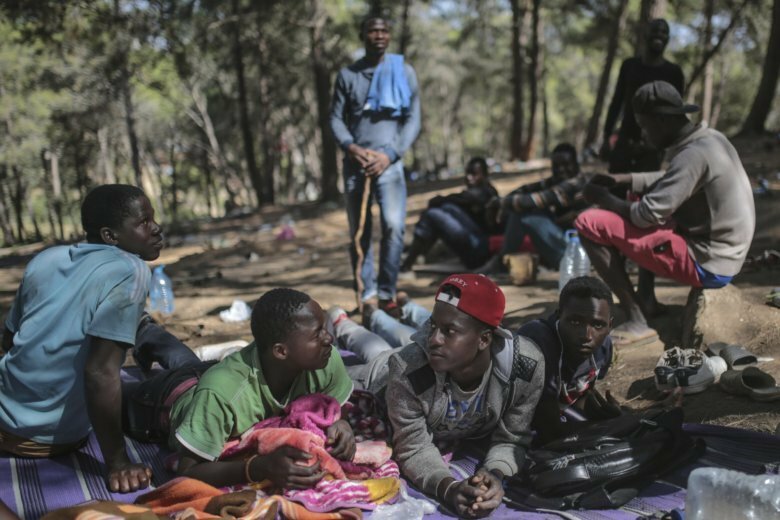 Now, migrants say they aren’t safe in the nearby forest where they claim there are more raids, with police seizing their belongings, burning camps and forcing them onto buses to head to points in southern Morocco — further away from the northern border. Those who escaped the raids in town and in the forest say they have nowhere left to hide. If they return to the city, “They (authorities) ask residents to hand us over if we go asking for water,” said Skey Mansare, a migrant from Cameroon. A Morocco government spokesman, Mustapha El Khalfi, said the country can no longer let its territory shelter human trafficking networks and refuses to play the role of gendarme of the region. Authorities say Morocco prevented 65,000 migrants from crossing to Spain in 2017.